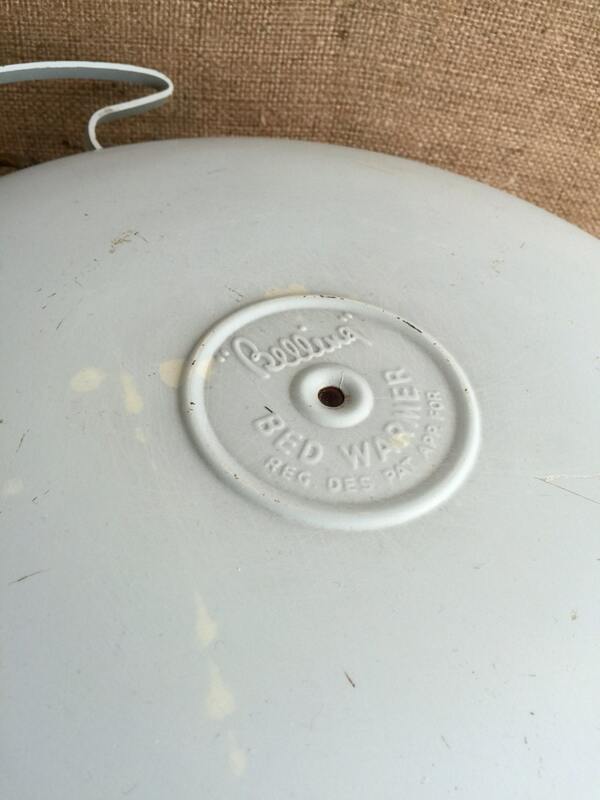 Are you looking for something industrial looking to make into a quirky light or lampshade? Then look no further! 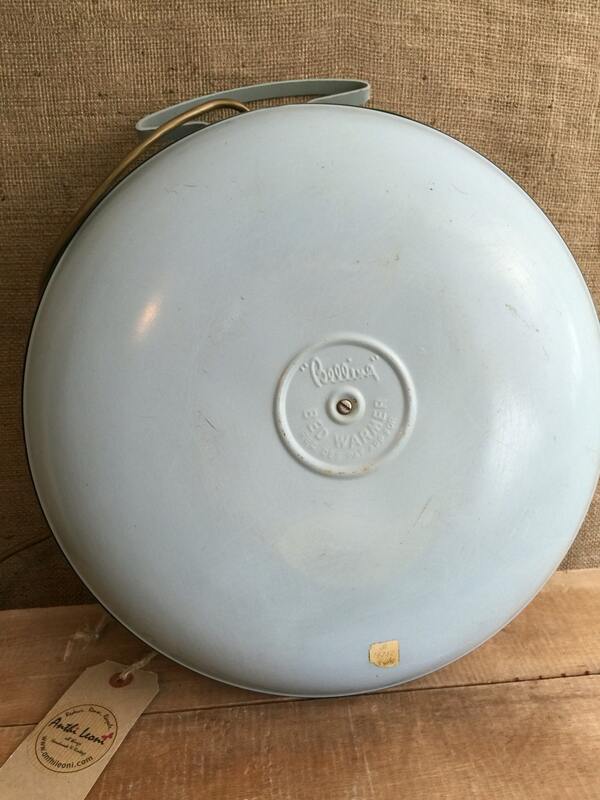 This is an original vintage retro belling electrical bed warmer from circa 1960. A pre-cursor to the electric blanket. 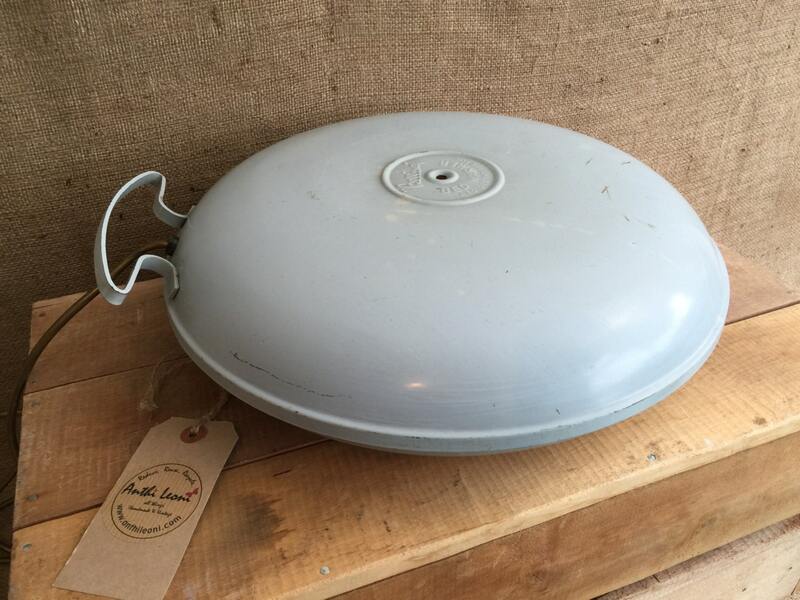 A rare and curios object which could be transformed into something funky and modern or as a retro designed piece. 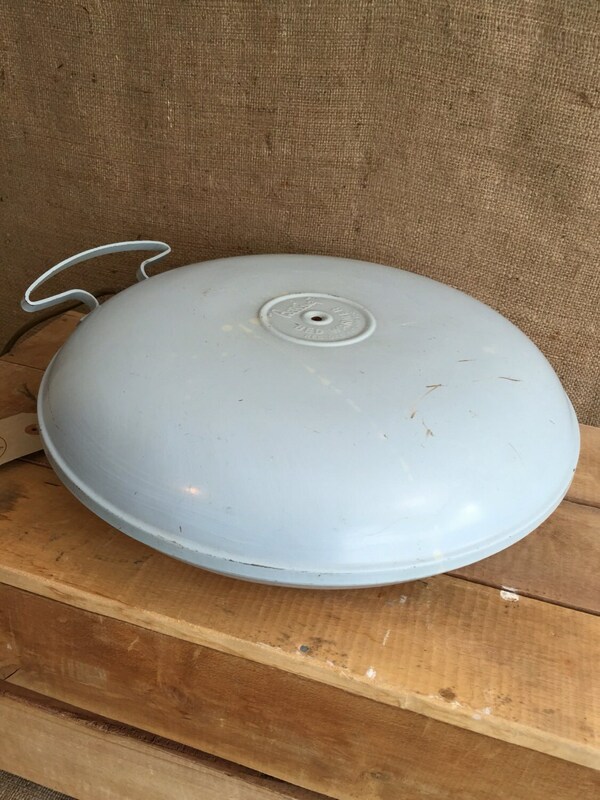 It is made out of metal and has the original duck egg blue paint work which could be cleaned up, stripped back or resprayed to suit your colour scheme. It is also back stamped / embossed with the makers mark. 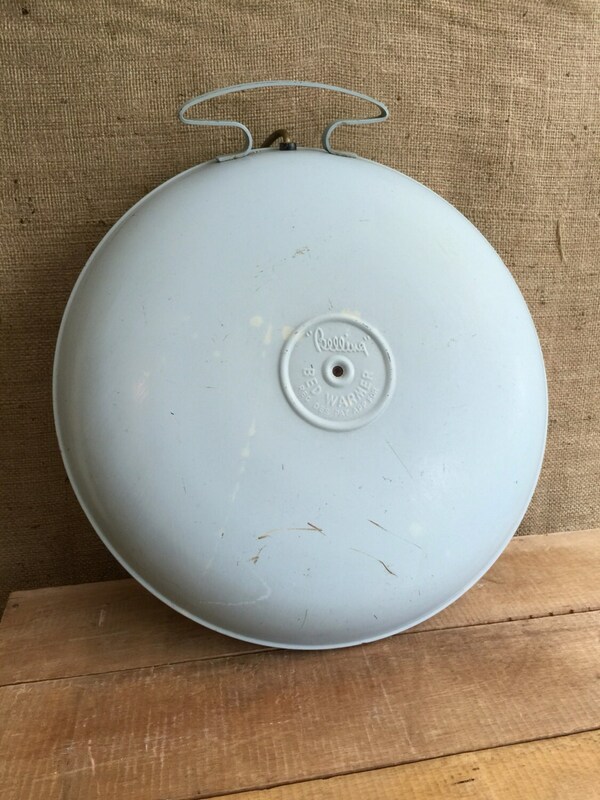 It would make a great lamp stand base or you could get two industrial style lamp shade from it. The choice is yours. Measures Approx: 15" x 4"